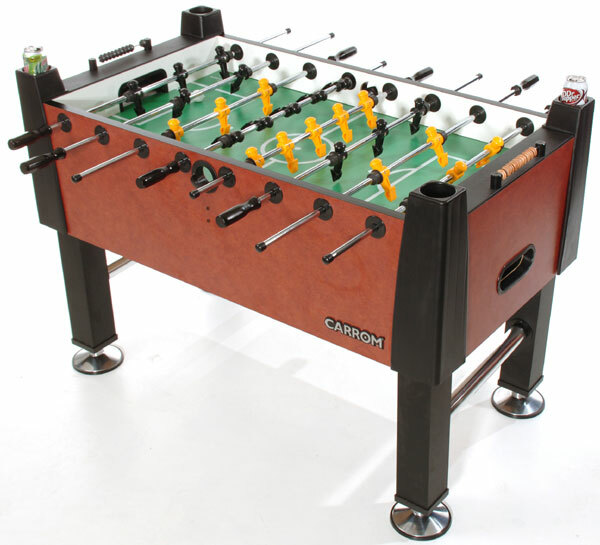 Finally...A foosball table fit for your game room. Finely finished down to the last detail, this game table combines quality with functionality. 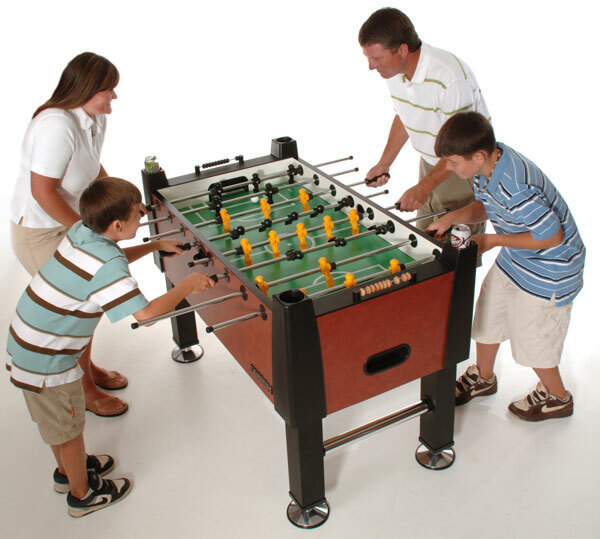 Strong and sturdy, this unique foosball table allows you to decide if you'd like to play a three goalie game or a more traditional one goalie game and even comes with removable corner ramps. A must have in your home! • Cabinet is 1” thick covered in an Moroccan Fresco melamine finish. • Heavy 2” triple chrome plated leg supports. • Cross supports underneath play-surface ensure flatness of playfield. • Cross Supports Underneath Playsurface Ensures Flatness. • Wood beaded scoring in blond and black – same as commercial games. • Ball return is high impact plastic. • Rods are 5/8” diameter triple chrome plated hollow steel. • Bearings are precision molded for durability. • Game is shipped with an assembled cabinet.